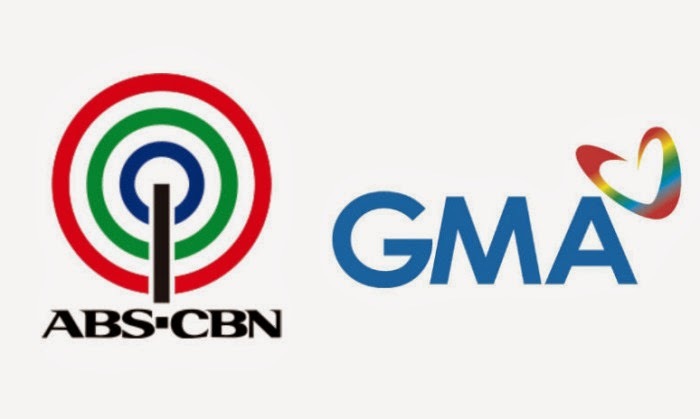 Manila, Philippines - ABS-CBN announced on Wednesday its supremacy in national TV ratings and claimed as the No. 1 TV station for 2013 based from Kantar Media audience shares survey. Kapamilya network beats again its closest rival GMA-7. Data from Kantar Media revealed that ABS-CBN is the most watched TV network in the country in 2013 as it topped the national TV ratings across urban and rural homes with an average national audience share of 42%, or 9 points higher than GMA-7's 33%. From January to December 2013, ABS-CBN beat all other networks across all time blocks and even swept all 15 slots in the list of top 15 most watched programs last year. Kantar Media says it uses a nationwide panel size of 2,609 urban and rural homes that represent 100% of the total Philippine TV viewing population, while the other ratings data supplier AGB Nielsen reportedly has only 1,980 homes based solely in urban areas that represent only 57% of the Philippine TV viewing population. ABS-CBN remained undefeated in primetime (6PM-12MN) with an average audience share of 47%, or a whopping 16-point lead over GMA’s 31%. The primetime block is the most important part of the day when most Filipinos watch TV and advertisers put a larger chunk of their investment in to reach more consumers effectively. ABS-CBN also led the morning (6AM-12MN) block with an average audience share of 37% vs GMA’s 33%, while the network hit 40% audience share in the early afternoon block (12NN-3PM) vs GMA’s 36%. The late afternoon (3PM-6PM) block scored no exception as the Kapamilya Network ruled with 38% as compared to GMA’s 33%. When it comes to the country’s top 15 most watched programs, ABS-CBN ruled the list with its original Pinoy superhero “Juan dela Cruz” leading the pack with an average national TV rating of 34.7%. It was followed by “Ina Kapatid Anak” (33.4%), “Princess and I” (31.1%), “Maalaala Mo Kaya” (30.7%), Wansapanataym (29.7%), and “Honesto” (28.3%). “TV Patrol” remained as the viewers’ top choice for newscasts with an average national TV rating of 27.7%, or a ten point lead against GMA’s “24 Oras” (17.1%). Also included in the top 15 list from January to December 2013 were “Got To Believe” (27.6%), “Aryana” (26.6%), “Muling Buksan Ang Puso” (26.1%), “Huwag Ka Lang Mawawala” (25.9%), “Pilipinas Got Talent” (25.4%), “Bet On Your Baby” (25.3%), “The Voice of the Philippines” (25.1%), and “Be Careful With My Heart” (22.9%). On December 2013 alone, ABS-CBN again ended the year with a bang by maintaining its monthly leadership over rival TV stations garnering an average audience share of 43%, or 10 points higher than GMA’s 33%.